It’s never bad to have some help around the house when you’re expecting guests. 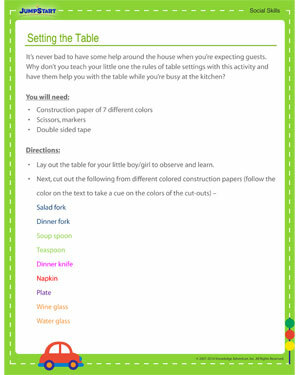 Why don’t you teach your little one the rules of table settings with this social skill activity and have them help you with the table while you’re busy at the kitchen? They’ll love learning while they are doodling with cool crafts at the same time!